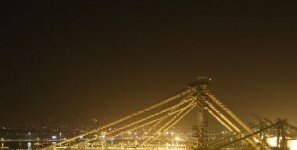 The Port ranks second in exported coal. The Port is responsible for nearly $3 billion in personal wages and salary. The public marine terminals, managed by the MDOT MPA, handled a record 10.7 million tons of general cargo. The Maryland Department of Transportation Maryland Port Administration announced today that the Helen Delich Bentley Port of Baltimore’s state-owned marine terminals handled 65,281 cars and light trucks in August, the highest monthly amount on record ever. The August mark surpasses the previous record set earlier this year in May of 61,058 cars and light trucks. -Most TEU (Twenty-foot Equivalent Unit) containers in one month: 90,152 in May. In September, Governor Hogan and the Maryland Board of Public Works approved a contract that will complete the fill in of a wet basin at the Port’s Fairfield Marine Terminal. This will create more land in a prime location adjacent to the piers to help handle the Port’s surging auto cargo. The Port’s strong performance in 2018 follows a successful 2017 when its public and private auto terminals handled a record 807,194 cars and light trucks. It was the first time surpassing the 800,000 car/light truck mark and the seventh consecutive year that Maryland had handled more cars and light trucks than any other U.S. port. In 2017, the Port of Baltimore’s public and private marine terminals handled 38.4 million tons of cargo, the most since 1979 and the third-highest tonnage in its history. The public marine terminals, managed by the MDOT MPA, handled a record 10.7 million tons of general cargo. It was the second consecutive year the public terminals handled more than 10 million tons of general cargo. Included in the general cargo number was a record 596,972 containers, an 11 percent jump from the previous record set in 2016. Among the nation’s ports, the Port of Baltimore ranks first for autos and light trucks, roll on/roll off heavy farm and construction machinery, and imported sugar. The Port ranks second in exported coal. Overall, the Port ranks ninth among all ports for the total dollar value of cargo and 12th in foreign cargo tonnage. Business at the Port of Baltimore generates about 13,650 direct jobs, while about 127,600 jobs in Maryland are linked to Port activities. The Port is responsible for nearly $3 billion in personal wages and salary and $310 million in state and local tax revenues.